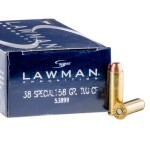 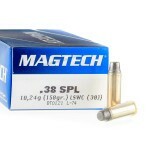 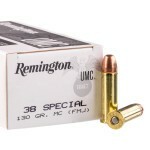 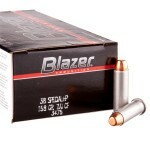 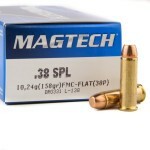 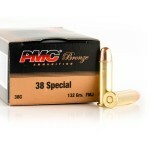 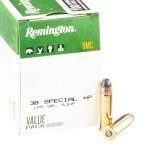 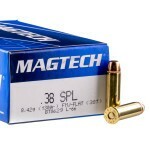 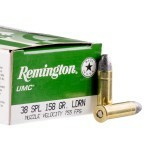 We carry a full line of 38 special with more than a dozen different bullet types. 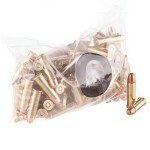 Full metal jacket or lead round nose rounds are very popular for range training. 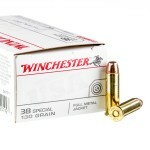 More particular shooters will want to go with a wadcutter load. 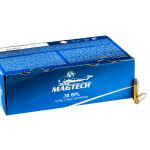 These wadcutter bullets are particularly good at punching precise holes in paper and are quite popular among competitive shooters where scoring zones are of the utmost importance. 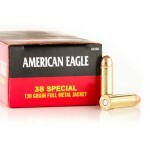 Of course, if you carry a 38 special for protection, you'll likely want to pick up hollow point rounds of some kind. 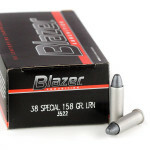 These bullets expand upon impact with a soft target, doing the maximum amount of damage and giving you the best chance at neutralizing a threat. 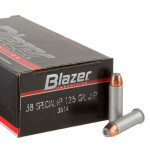 +P ammunition is very common among 38 special loads and you'll find increased pressure affords shooters about 20% more muzzle energy than standard loads in the caliber. 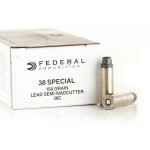 38 SPL Wadcutter 148 Grain 690 ft/second 156 ft. lbs. 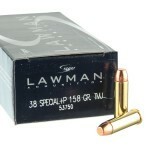 38 SPL 158 Grain 940 ft/second 310 ft. lbs. 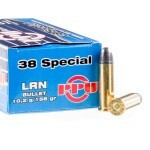 38 SPL +P 158 Grain 1,000 ft/second 351 ft. lbs. 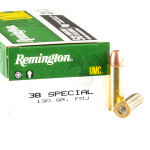 Of course, keep in mind - if you choose to carry a load with increased pressure, that does have the potential to increase strain on your firearm. 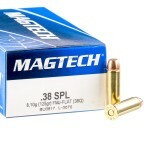 Many manufacturers do not recommend shooting +p ammo in their firearms. 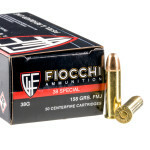 Also, if you choose +p rounds, expect to deal with increased recoil as a result of the increased velocity and energy these loads provide. 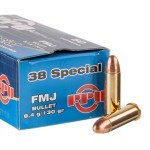 If you're headed out for some plinking, you'll probably want to look to a full metal jacket loaded round. 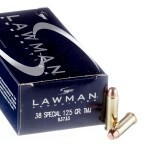 Full metal jacket bullets are sometimes referred to as "ball ammo" and are designed not to expand when they come in contact with a soft target. 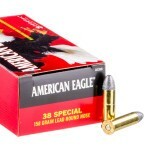 So, for punching holes in paper - they're fantastic and pretty cheap to buy. 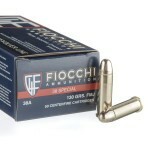 However, if you need something for self-defense, we recommend you look to a hollow point of some kind.